May 4, 2012 | Whatever! Happy Birthday to Stu! 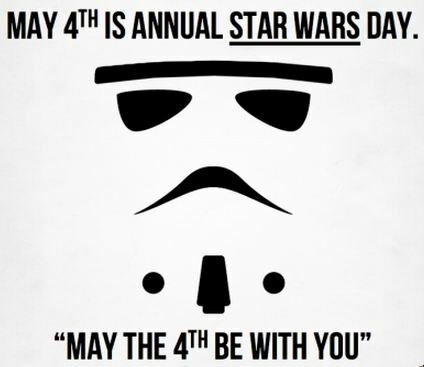 How cool is it to have a Star Wars birthday? At his daughter’s request, I made cupcakes. After the girls ate dinner, I lit the candle, he blew it out as we sang for him. 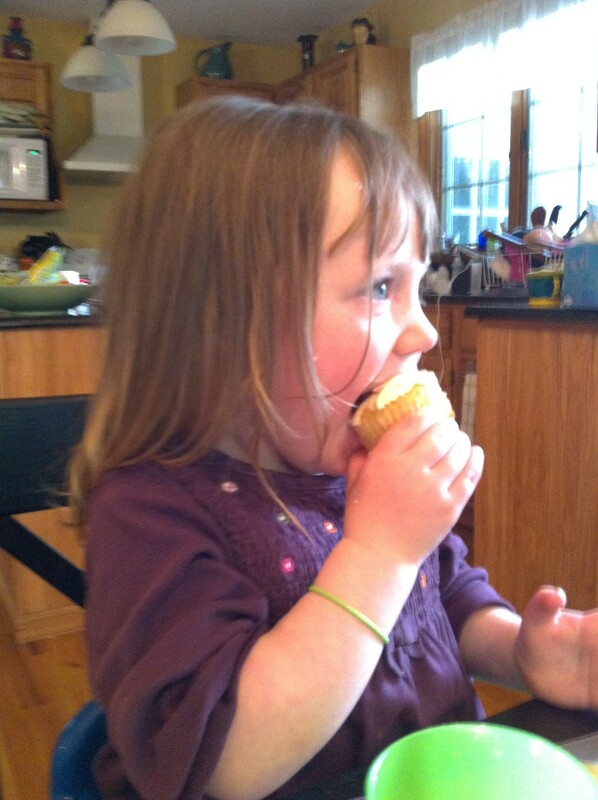 Then everyone got a cupcake. 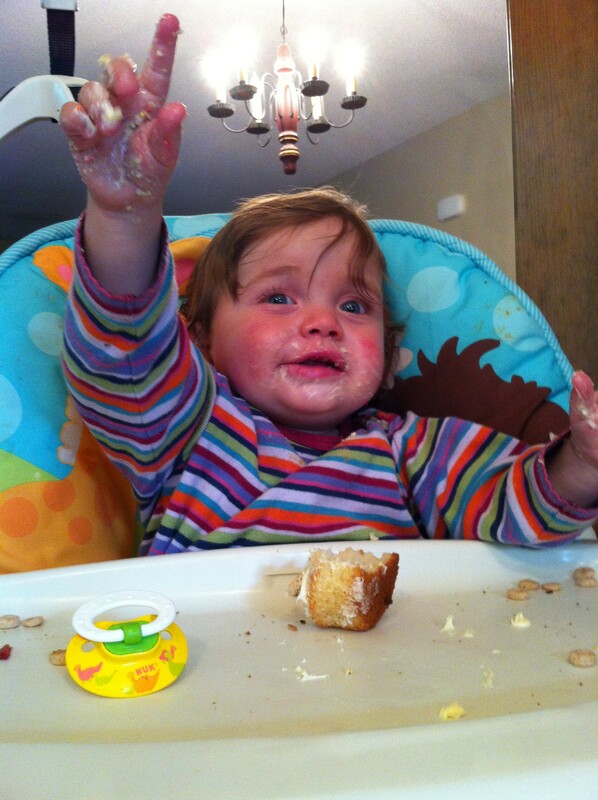 After eating more dinner than her sister, Ashlin devoured her cupcake. And then called the waiter for another cupcake. Ashlin gave us the sign she was all done… a bit prematurely. She looked down and saw more cupcake, which she finished immediately, and then tried to lick the crumbs off the tray just to be sure she got it all. 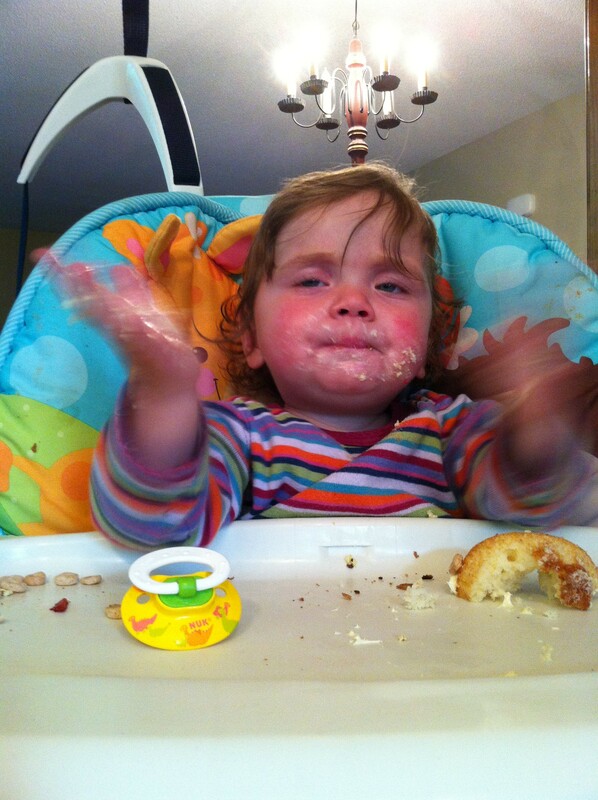 And Teagan had a very good week. So we had a very good week. Birthdays and cupcakes are a great end to the week. Happy birthday, Stu. Love you. Happy birthday!!! 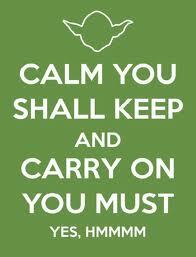 I love the Yoda saying…carry on you must! Can you believe that Katie turns 15 on Wed? Carry on, with a cupcake! I cannot believe it’s been that long? How did she get so old?? ?